A nonprofit organization (“Nonprofit”) is an entity which puts its surplus revenue back into the entity, dedicating those funds to further the goals of the organization, as opposed to paying profits to owners or shareholders. Oftentimes Nonprofits are formed for a public welfare cause or interest or to advocate a certain ideological agenda. By way of example the American Red Cross, Make-a-Wish Foundation, and Greenpeace are all Nonprofits. 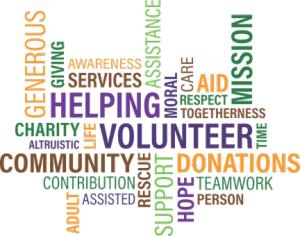 While charitable organizations make up a large percentage of Nonprofits, there are many types of Nonprofits which serve selective groups or communities and which are not necessarily “charity” groups. For instance, credit unions and certain industrial or business associations can be Nonprofits as well. The IRS provides for tax exemptions for many Nonprofits. For example, a Nonprofit may seek a federal income tax exemption if it is a corporation organized and operated exclusively for religious, charitable, scientific, public safety, literary or education purposes. Hospitals, schools, and credit counseling organizations are often tax-exempt Nonprofits as well. Some other examples of organizations which may obtain tax exemption include labor groups, business leagues, political groups, social clubs, mutual insurance companies, and agricultural organizations. The application process to become tax-exempt as a Nonprofit can be complicated and onerous. First, the organization needs to be formed, meaning that the formal requirements for forming a business – such as incorporating that business with the State, creating By-Laws, Articles of Incorporation, and/or Operating Agreements, applying for a Federal Employer Identification Number (“EIN” or “FEIN”) with the IRS, etc. – must be completed. In New Jersey, generally the Nonprofit must also register with the New Jersey Charities Registration Section. The Nonprofit must then apply for tax-exempt status with the IRS. The specific forms which are required depend on the specific type of organization. However, the application will generally require copies of formation documents and financial data of the Nonprofit among other things. Once approved as an exempt organization with the IRS, most entities must file Annual Exempt Organization Returns and must continually qualify for their Nonprofit status. The Nonprofit may also apply to become exempt from New Jersey Sales and Use Tax and/or Corporation Business Tax. As with the federal exemption, the State of New Jersey has similar requirements as the federal government, including submission of forms and company formation documents, and operations exclusively for religious, charitable, scientific, literary, educations or other specified welfare purposes. A business may also apply (if applicable) for exemption from the New Jersey Petroleum Products Gross Receipts Tax (which is imposed upon businesses which refine and/or distribute petroleum products in the State). Even once exempt as an organization from income taxes, the Nonprofit is still generally responsible for withholding and reporting employee wages for income taxes, social security, Medicare, unemployment, etc. McLaughlin & Nardi, LLC’s business attorneys are experienced in forming all types of businesses and assisting with all manner of business-related issues from State registration and filings to litigation. To learn more about what we can do to help, please visit our website, e-mail us or contact one of our lawyers at (973) 890-0004.